The Peace Mediation Course (PMC) and related resources on this website were developed by the Mediation Support Project (MSP) in collaboration with the Swiss Federal Department of Foreign Affairs (FDFA). 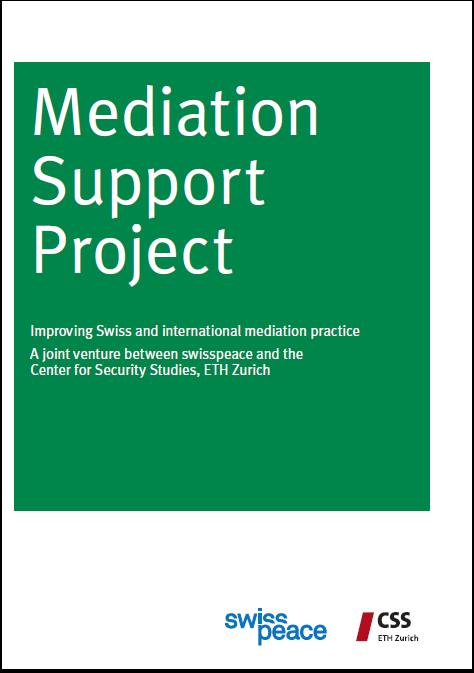 The Mediation Support Project (MSP) was founded in 2005 as a joint venture between swisspeace and the Center for Security Studies (CSS) ETH Zurich. The Swiss FDFA is the initiator and main partner of MSP. The goal of the MSP is to provide structured, systematic and sustained “mediation support” to mediators and conflict parties in order to increase their level of professionalism. The level of professionalism of mediators and negotiators is one aspect amongst others shaping the quality of peace negotiations and their outcome. MSP is a service provider to the Swiss Federal Department of Foreign Affairs (FDFA), but also to mediators and conflict parties that are strategically important for the FDFA. MSP supports the Swiss FDFA in providing durable and comprehensive support to 5‐8 specific mediation cases. MSP provides mediation support services in a responsive manner, e.g. in cases where there is a comparative advantage for the Swiss FDFA, or there is a clear demand from an actor the FDFA wants to support. MSP also develops and disseminates general mediation expertise and skills. This is mainly done through training & capacity building (e.g. Peace Mediation Course), research and knowledge management (e.g. 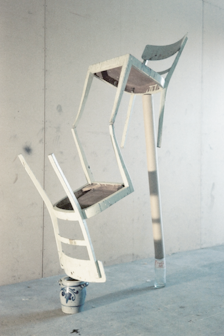 publication of lessons learnt from mediation experiences), and international coordination (e.g. managing the international Mediation Support Network). Specialized trainings for people planning to work in or on conflicts as mediators, experts, donors, or advisers. The focus of the training varies according to the needs and requirements of the trainees. Trainings for negotiating parties are usually carried out in support of the efforts of the Swiss FDFA, the United Nations, Regional Organizations or other NGOs. Trainings may focus on ne­go­tia­tion skills, the structure of a mediation process, or the actual issues of the negotiations (e.g. wealth-sharing, security, etc.). Sensitivity trainings raise awareness of people working abroad (in particular diplomatic, humanitarian, and development staff) for the nature and needs of mediation processes. Such events may last only one or two days and offer a glimpse into the potential cross-fertilization of different branches of international cooperation. College and high-school classes (half day) raise awareness for peace policy and familiarize students with instruments to tackle conflicts without resorting to violence. Training Tools and Resources are available on this website for free for any person interested in mediation. In addition, MSP developed a series of role plays and exercises, which are used in mediation trainings. In addition, MSP developed a series of role plays and exercises, which are used in mediation trainings.